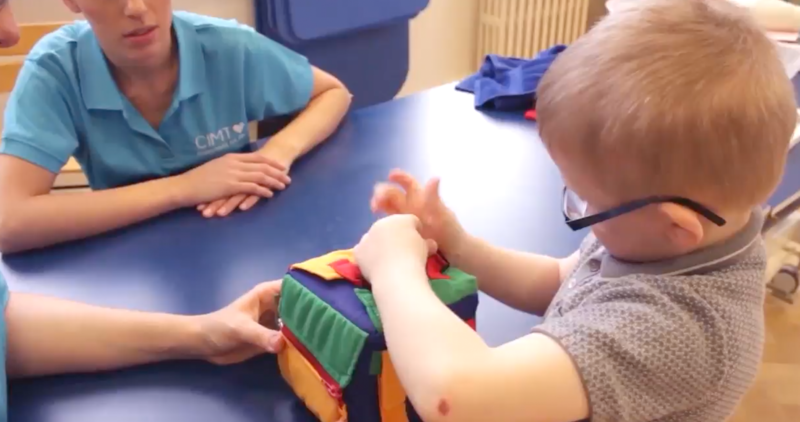 Harry’s reduced fine motor skills (his ability to coordinate his fingers) meant he struggled to do up his zips and buttons independently. 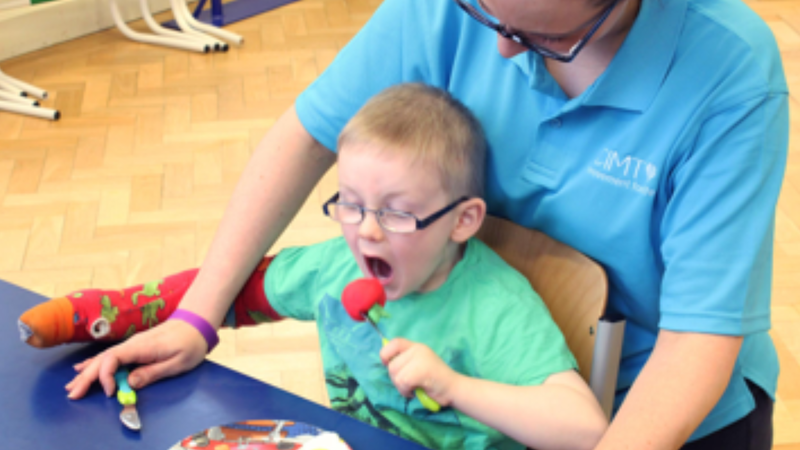 It was also very difficult for Harry to use a knife and fork, throw and catch a ball or wave. 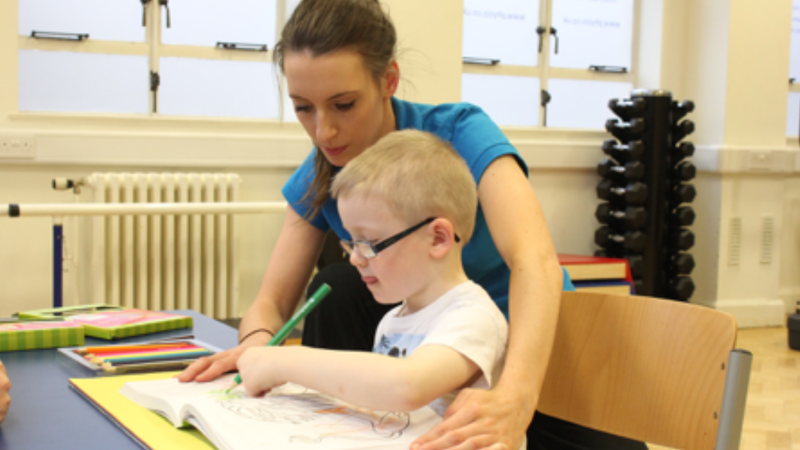 Over the next 3 weeks we worked together with Harry to get him to do these tasks by himself as best he can! 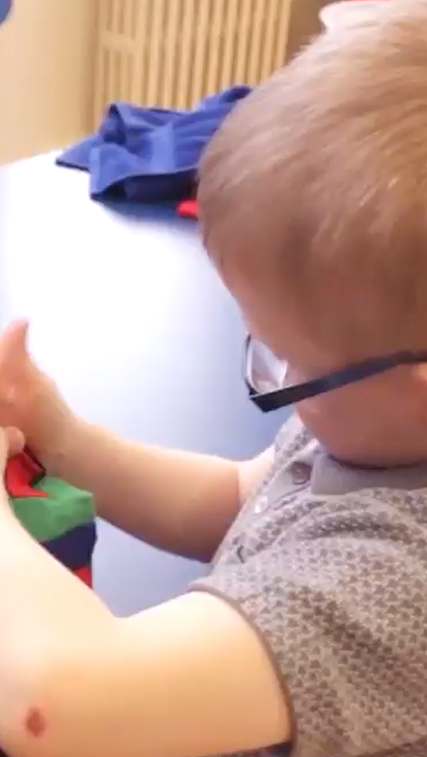 To be able to dress himself independently. This involves doing up zips/buttons and putting on his socks and shoes. 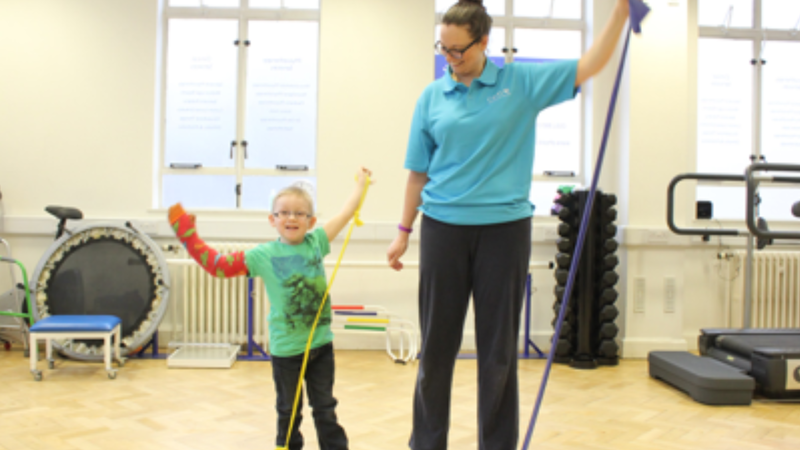 Constraint induced movement therapy involves rehabilitation of the weaker arm/hand while restraining the stronger arm in a light-weight cast. 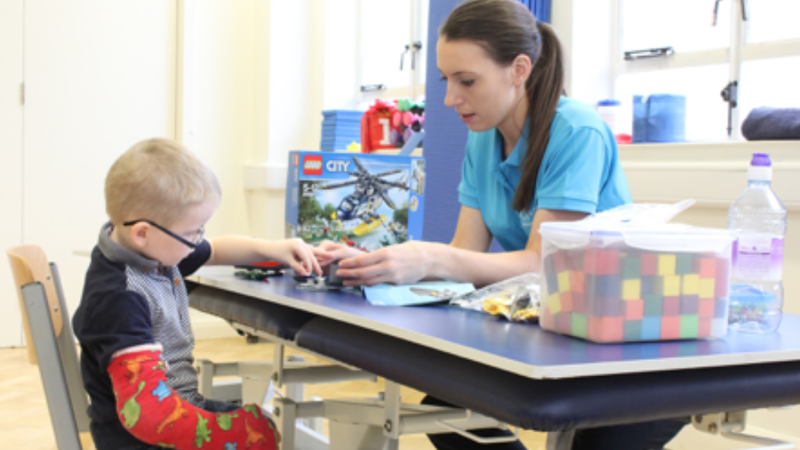 Constraining the use of Harry’s well functioning arm/hand ensured Harry utilised his affected limb exponentially more on a number of ‘exercises’, through the play-lead physiotherapy sessions overseen by one of our highly qualified therapists. 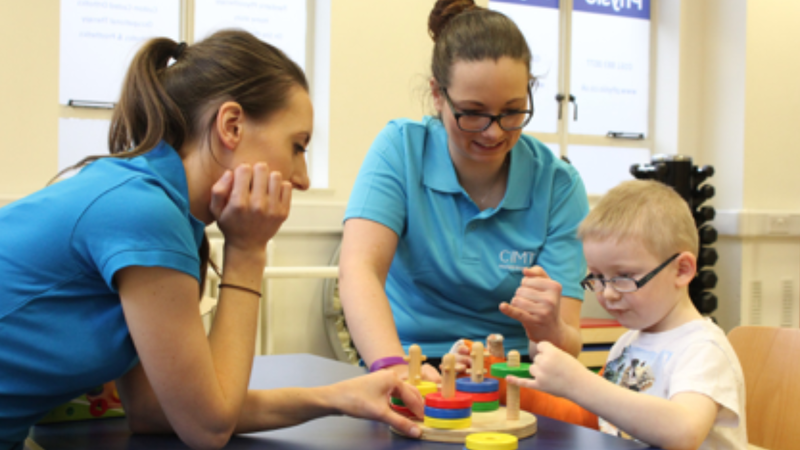 With Harry; we gave particular focus to improve the use of his hand with aim to increase his finger/thumb strength, dexterity and general function. 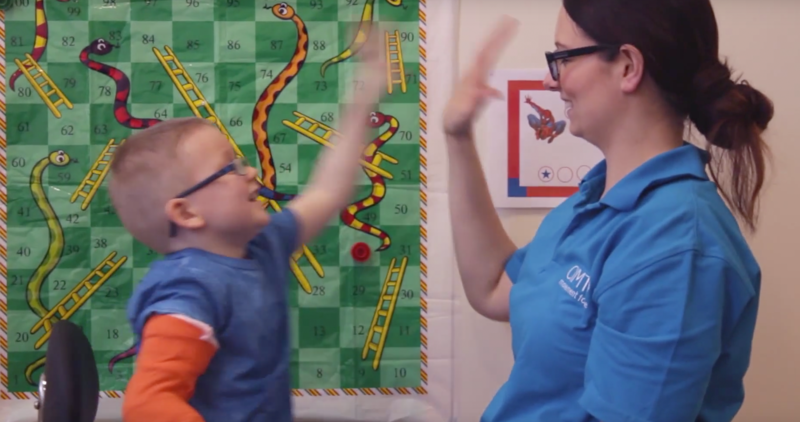 Throughout the programme we witnessed incremental improvements in Harry’s hand/arm from his pincer grip to shoulder strength through the repetitive use of his affected limb, re-wiring his brain to increase the strength, mobility and familiarity of his affected limb. "He has never moaned about the cast at all!" 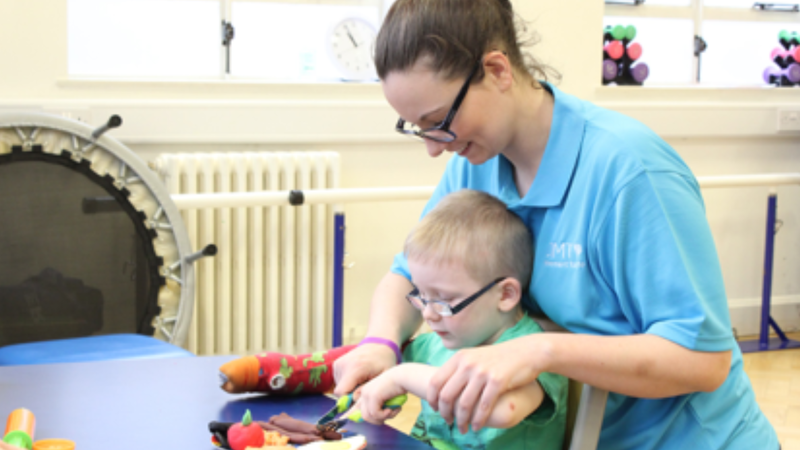 Harry improved his fine motor skills and dexterity so he could do up his own zips/buttons and use cutlery. 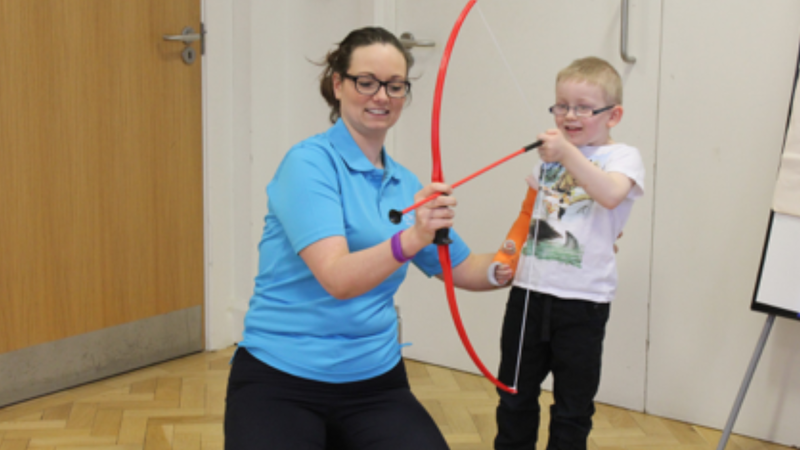 Harry’s shoulder strength improved giving him more control of his upper arm. 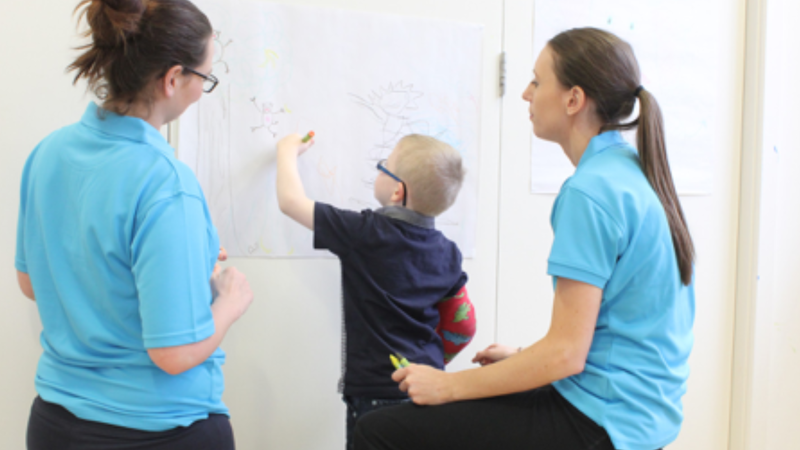 Harry’s movement in his left side is more fluid and co-ordinated and he is more confident in using it in everyday activities. Harry now has his 5m swimming badges. 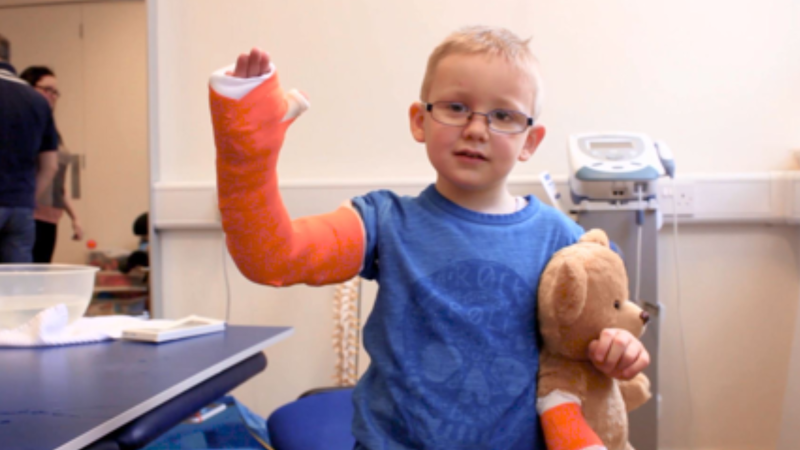 "As soon as the cast came off he went over to play with a toy and he used his left arm without even asking, he just automatically did it - it is hugely rewarding!" 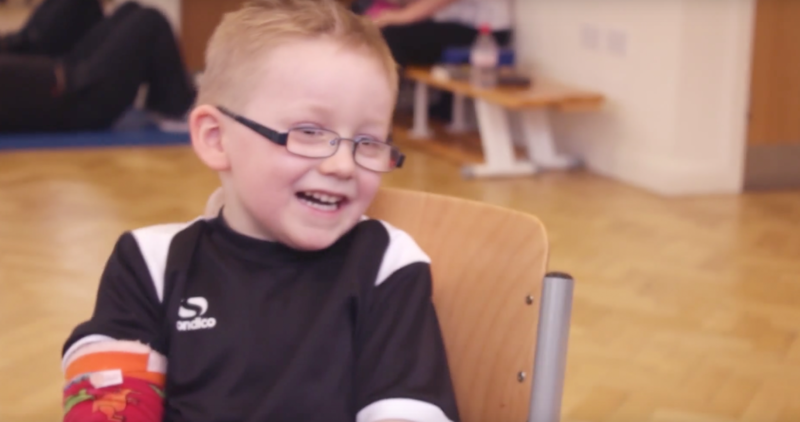 "If you said to the child that you are going to the hospital for three weeks, three hours a day, that would be difficult - but this isn’t. He is getting great treatment and great friendships and it made this journey so much easier for all of us! You don't want to regret in ten years time that you haven't done it - you don't want such feelings as a parent. So give it an opportunity, give it a go and don't worry about any of it.” - Harry's Dad. "You don't want to regret in ten years time that you haven't done it - you don't want such feelings as a parent. So give it an opportunity, give it a go and don't worry about any of it." - Brian, Harry's Dad. 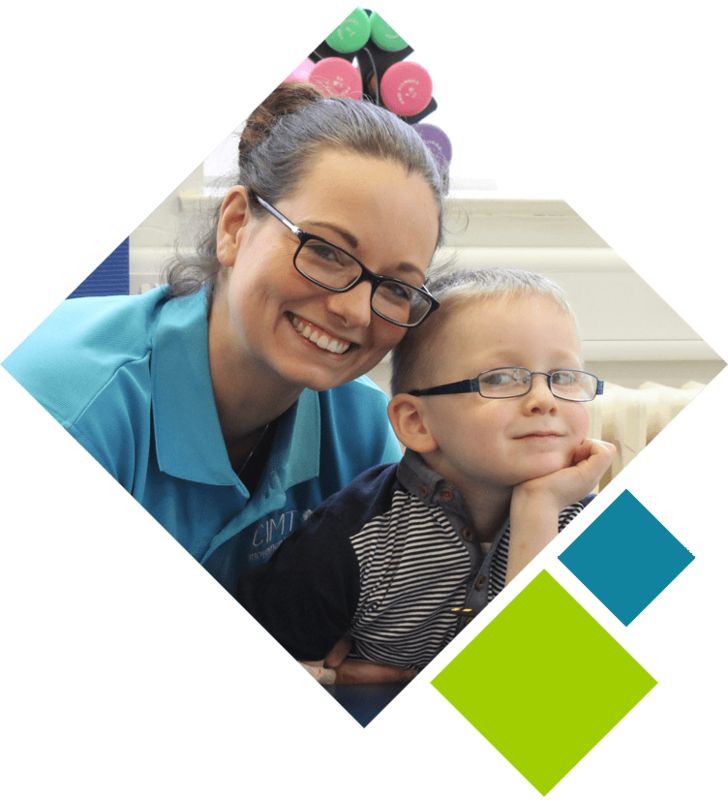 “Harry is a lively and energetic young man with dancing skills way beyond his years. He tried to teach me a thing or two but video evidence will prove I would lose in any dance off with him! 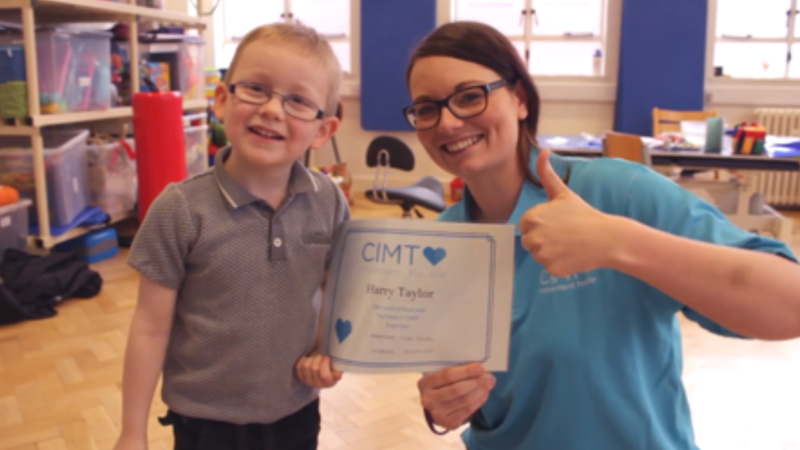 "I was so proud of how Harry developed during CIMT, he gained confidence not only in using his hemiplegic side but also in himself." 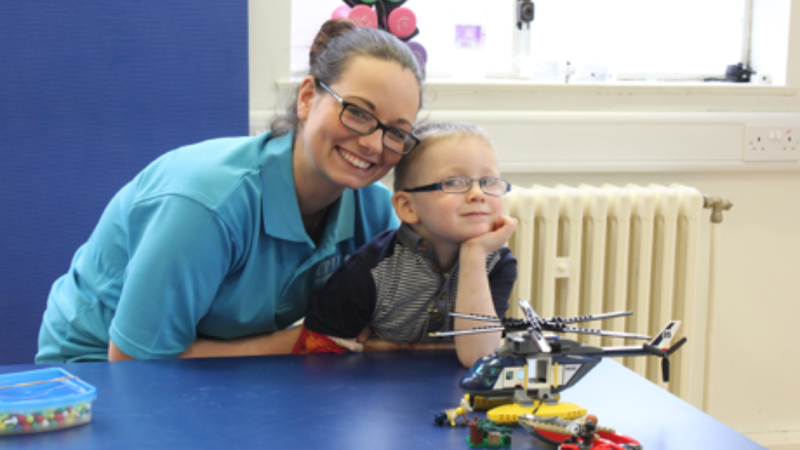 "Our advice for other parents would be - keep an open mind, believe in yourself and your child because they can do it and just go for it."